As you begin to wind down for the weekend, let us provide a weekly summary of all goings on here at Ard Nahoo in the form of our Friday Four! In February Noeleen is taking an exciting excursion to Dubai, where she will be teaching a workshop in the wonderful 136.1 Yoga Studio, Dubai Marina. The workshop, an Introduction to Anusara Yoga – Going with the Flow, will be taking place on Thursday 9th February between 5pm – 7pm. If you’re in the area why not drop in? If you looking for something a little closer to home, we have just the thing! March see’s us welcome the inspirational Bill Mahony for a workshop, “Heart Centred Body & Soul Immersion” – taking place March 8th – 12th, this course is the foundation module for the 300hr advanced teacher training. It is also open to those not interested in teaching yoga, but who practice it for their own enrichment. Here’s a simple recipe for a nourishing and soul-warming soup that we enjoy regularly here at Ard Nahoo. This delicious recipe is highly recommended as it’s quick to put together and absolutely moreish – perfect for the kids coming home from school. Add in the cumin seeds and chill flakes. When the cumin seeds begin to pop add in the leek and cook until soft for around 5 minutes. Add in the chopped vegetables and stir for a further 3 minutes. Pour on the stock, add a Bay Leaf and cook on a gentle simmer for 40 minutes. When cooked remove the bay leaf and blend. Add your favourite herb before serving. I would suggest thyme if you have it but coriander or parsley would work well too. Enjoy! Get in touch if you give this recipe a go! On Wednesday Ard Nahoo welcomed some new faces for the return of Yoga for Pregnancy, an 8 week course that aims to help reduce stress and improve general health and well-being during pregnancy. 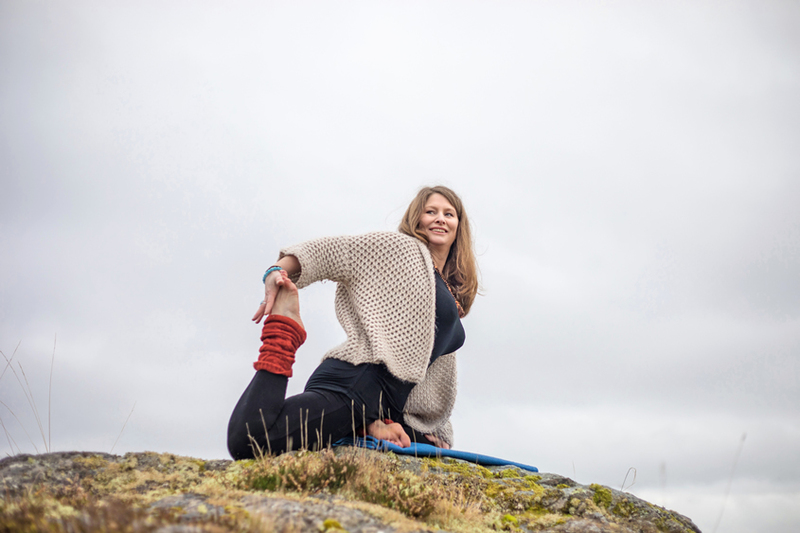 This term, the course will be taken by former Ard Nahoo Yoga School student, Aisling Donegan – a wonderful teacher who will guide you through the class with care and consideration. If you missed the start date and are interested in joining in, it is not too late. Just get in touch, newcomers are always welcome! There are some wonderful new photos on the way, courtesy of Kelvin Gillmor – Photographer extraordinaire. Kelvin has an amazing eye for detail and put a lot of time and energy into getting the best shots possible. A big thank you to the lovely local ladies who came and modeled for the photos, the time you took to come and take part is very much appreciated. Keep your eyes peeled and check out our Facebook & Twitter pages over the coming weeks to catch a glimpse of the snaps that were taken during the week.